I am trying to train the face detector without upsampling the images so that I can detect smaller faces. I tried it on the example file "fhog_object_detector_ex.cpp". I commented out the two lines of upsampling (upsample_image_dataset), and decreased the detection window size to 40x40. However, it is not able to detect most of the faces in the test images. Could you please let me know where is my mistake? I really appreciate you for creating such an amazing library. You probably need more training data. But even more than that, the spatial resolution of HOG is, by default, low. 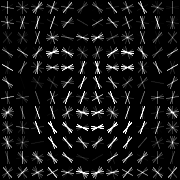 It downsamples the image into 8x8 cells. So a 40x40 pixel window has only 5 HOG cells, which is not quite enough to model a face well. So the options are to change the HOG cell size to something smaller like 4, or to upsample the image so small faces get bigger. Both are going to have about the same computational requirements. hi David, many thanks for your great work. 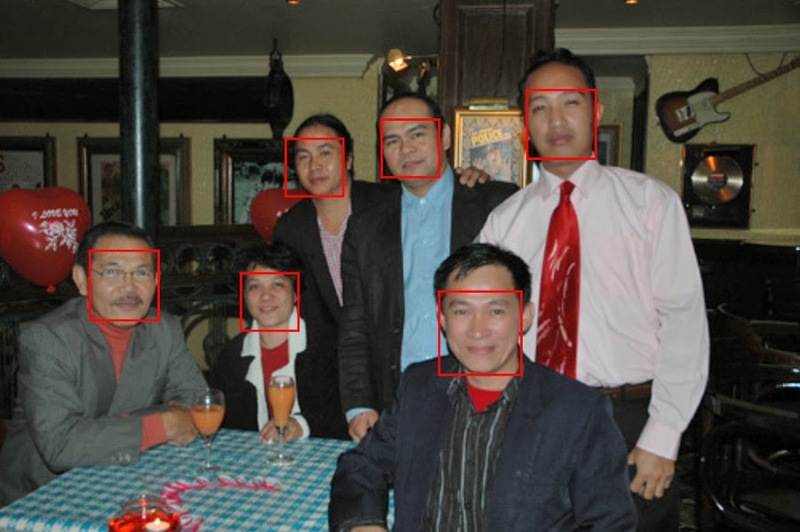 In OpenCV, we can choose only to detect the biggest face when calling the detector. Does dlib provide similar option to support detecting only the largest face so as to speed up the face detection? You can control what pyramid scales the detector runs at. Set the scales to find only big faces if that's what you want to do. Thanks a lot, David. How to set the pyramid scales the detector runs at? Could you please give a code example? Hi, David. Thanks for the excellent code and examples. I manage to use the frontal_face_detector in a multi-threading environment, but I have not found whether it's thread safe, is it? Best. It depends on how you use it. The usual rules about not touching an object from multiple threads at once apply. What is the prediction time for images around 1000x1000? I cant seem to understand how to do that? or where to do that? I have successfully compiled dlib. I have a problem of compiling face_detection_ex.cpp for arm-linux-gnueabi-g++ on my machine (UBUNTU 16.04 LTS). Can you suggest the "command" with out using lX11 support. And how to give jpeg support for arm-compilation. in the above program what is the arr1 values and how it is defined.can we get how load_image works. and Can we give a two dimensional array of an image in rgb_pixel to detector.if possible how...? Please answer my question.It important and required. Is it possible to increase some sort of threshold and get areas that have a probability of being a face but get missed anyways? I'm currently using FHOG to detect faces, but the new DNN implementation has much higher recall. Unfortunately, its very slow and memory consuming on large images. If I could use FHOG to find all tiles of the image that have some probability of a face and run those tiles through the DNN rather than the whole image, it could possibly increase overall recall and precision. Yes, the detector has an optional argument that lets you adjust the detection threshold. This is discussed in the documentation for the object_detector. Your detector works very nice. It really produces almost 0 false-positives, which is amazing :) Thank you for developing and publishing it. 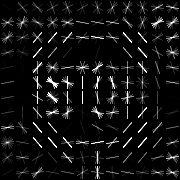 Right now I'm rotating my testing images to be able to detect rotated objects. Unfortunately since there are many different angles, detection takes a bit more time that I hoped. I believe that I can speed up the process if I exclude blank regions that are arising in corners of the images after rotating them. Unfortunately I can't find a place in a code where I can do that. I mean the place in a code, where I can select regions that will be searched for an object. Maybe you can suggest a function or file where to look for? Thanks for the answer Tommi. I'm now trying to figure out one more way to speed things up. How do I compile dlib with Python API in release mode? but how do I specify that I want to compile it in release mode? It's in release mode by default. You don't have to do anything. First of all thank you for the wonderful dlib library. I had a question regarding your "max-margin object detection" paper. In the paper you post excellent results for the MMOD-HOG vs the baseline-HOG. I was wondering if the frontal face detector (in "frontal_face_detector.h") provided with dlib is already trained in the MMOD way? Or do I need train my own face detector with "fhog_object_detector_ex.cpp" first to achieve this superior performance. Furthermore I was wondering if you think offloading the gradient computations to a GPU makes sense, or the time lost with memcopy back and forth to the GPU is too much to make this an attractive option? Yes, the default detector that comes with dlib is trained with MMOD. I'm sure the HOG computation could be sped up with a GPU implementation. I don't think anyone is working on adding that to dlib at the moment though. Is it likely to have a memory overflow with this small dataset? The images altogether take only approximately 200MB, and I have 4GB of RAM (I made sure to compile in x64 mode). Make sure you aren't upsampling the images in the code a bunch. But it does take a good amount of RAM. I read in your paper that compared to other detection methods, you are considering all windows (with a given aspect ratio). My question is, why are other methods only considering a subset if you it is possible to consider all windows like you do. And isn't it very expensive to compute \phi for every window? It's not easy to figure out how to consider all windows efficiently and in a way that makes sense. That's the central innovation of the paper. But isnt it still expensive to consider all windows? You consider one window size on every level of the pyramid right (in the new model with the cnn)? Computationally, it's just a matter of running the detector on an image. If that were too expensive then the whole thing would be pointless because the detector would be too slow to be useful once learned. Yes but region proposal methods like faster rcnn only run the detection (for example a cnn) on the proposed regions right? where as mmod runs it on all possible regions? Dont you have millions of regions and running a forward pass on millions of regions is very computationally expensive? I don't know what to tell you. Look at the network architecture and see what it does. It's running convolutionally over the image. There is nothing surprising about it's speed. Obviously if you used region proposals and recomputed things for each proposal then it would be terribly slow. But that's a silly thing to do. I realize lots of people do it, but it's not super clear to me why when it's easy to run an entire image pyramid through a CNN in a convolutional mode. That's super fast and covers all scales and box positions. 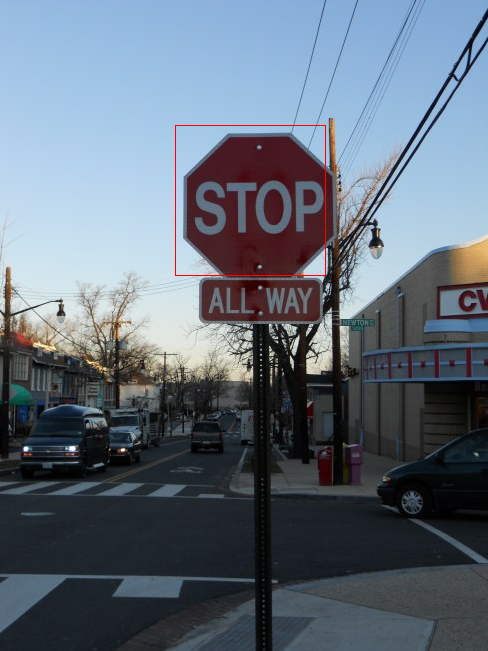 I'm new to dlib, I notice that dlib supports Deep Learning, but does it support using Deep Learning for Pedestrian Detection? If yes, could you advise on how to do this? Thanks a lot for your help and for a great dlib! I am trying to use both dlib and opencv together in my python programs. Can you please tell me how to grab video from webcam.? Is there any method for detecting pedestrians from car camera? I am looking for a real time solution. Is there any method of implementing Genetic algorithms on dlib? Any bio inspired algorithms? Hi Davis, I have been working from last few months to use dlib for face detection in video. Due to requirements to detect side pose for a commercial app, I have trained my own detector. It has been working on 70% of the side pose frames. But the problem is for few frames, it doesn't detect the face; even though it does detect for the very next frame. Even though difference in these two adjacent frames is minimal. Can you please give any pointers on how to debug the problem? I used Intel's MKL to speed up face recognition as you suggested and gained good speed enhancements, however dlib's HOG face detection seems to slow down using MKL's ICC++ compared to vs++ original compiler. I analyzed via Intel's VTUNE and the bottleneck seems to be in dlib\image_transforms\spatial_filtering.h when applying the row & col filters. Is there any insight you might suggest to speed performance, as I use up 90 ticks (about 11 FPS) for 960*540 resolution in dlib's HOG face detection ? Make sure you have AVX instructions enabled. That makes a big difference. I enabled AVX instructions and there is huge boost in performance! Thanks! Any plan in implementing AVX2 to dlib's HOG face detector, and will it be even faster? No, I'm not sure there is any benefit. At some point AVX-512 will be used though. Really looking forward to AVX-512 version of dlib's HOG face detector! Would you please let me know what data-set you used to train the "dlib_face_recognition_resnet_model_v1"? It's not a public dataset. Would you please tell me how many faces would be enough to train the "dlib_face_recognition_resnet_model_v1" from scratch? or how many images did you use to train it? I'm quite new to this, but apparently, my code seems to lack a header file for including the Python library. Please provide suggestions to include the same.I've already checked the version of python installed and i've already verified if the python2.7 installed is working properly. Hi. I want to know can I implement dlid to detect another shape not only face shape, but wrinkles on the face? Is the simple face_detector.svm file somewhere downloadable ? I am doing some performance tests on a mobile and I want to avoid setting up a training on OS-X when I see beforehand that performance is too slow. There are a number of face detection examples in dlib's examples folder. They don't require training your own model.